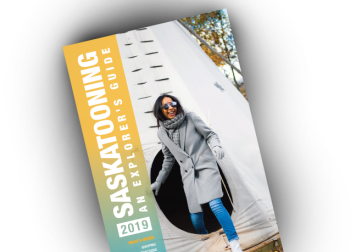 Boasting over 300 acres of riverbank parks and trails to explore, and with more hours of sunshine than any other major Canadian city, Saskatoon is a nature-lover’s delight. Take a leisurely walk starting at River Landing on the Meewasin Valley trails to the landmark “Castle on the River”, the Delta Bessborough Hotel. Across from the iconic hotel, you will likely be tempted to stop at Saskatoon Bus Stop Refreshments and pick up a famous River Bank Frank and Italian soda. After fortification, continue further north east on the trail to the weir where the pelicans return year after year. Board Prairie River Cruise's newest vessel, the Prairie Lily (seasonal) docked near the Shakespeare on the Saskatchewan tents for a relaxing river cruise. There's lots of wildlife to see, so pack your binoculars! Enjoy a light dinner at the Berry Barn (seasonal) in a serene garden-like setting overlooking the South Saskatchewan River. Save room for some saskatoon berry pie!